Sailboat Voyage 440 called Alboran Ron Punch has been produced in 2006. Alboran Ron Punch is licensed for 10 pax. Layout of the yacht is 10. 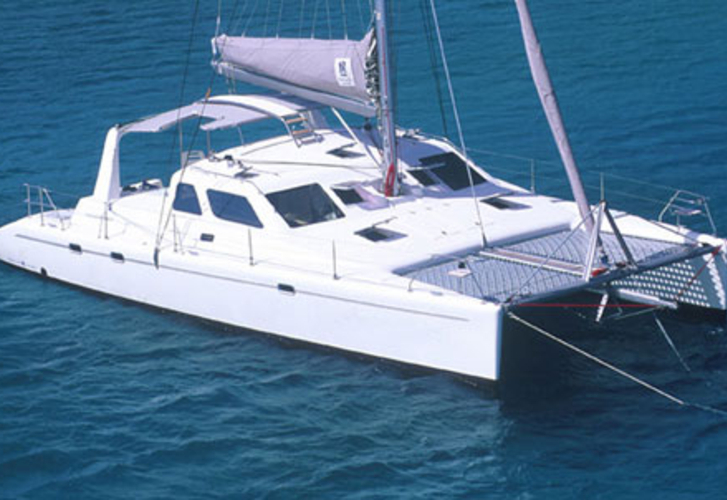 Voyage 440 Alboran Ron Punch is equipped with 4 bedrooms. Alboran Ron Punch is 13.60 m long and 7.65 m wide. Depth is 1.10 meters. Caution there is 0.00 EUR. Choose our offer and have fun on the deck of Alboran Ron Punch.